Ever since Charles Darwin published his book on origin of species on November 24, 1859, atheist and scientist have been heralding evolution as science, free from blind faith of religion, based off of nothing but facts. Anyone who does not agree is labeled as a fool for not seeing facts, and simply shouted down. Most Christians have gotten so confused lately that many are even believing Genesis 6 day creation as 6 lengthy time periods, even though the Bible is clear they are 6 literal 24 hr periods. But since atheists and scientists are so convicted that evolution is scientific fact, let us check evolution out against the scientific facts and see if it does measure up. Science revolves around a graduation from Hypothesis, to Theories, and finally to Laws. Everything starts with Hypothesis which in essence are guesses. Anything from 'The moon is made of cheese.' to 'Clouds drop rain.' 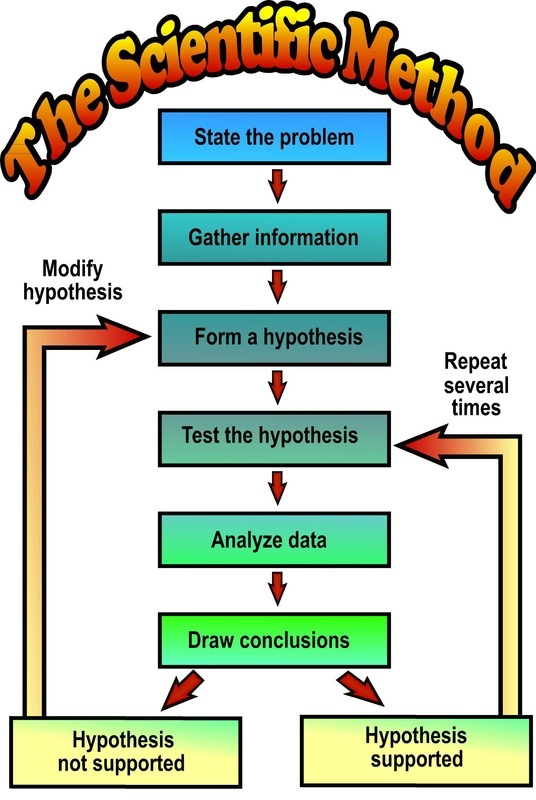 are examples of a hypothesis. 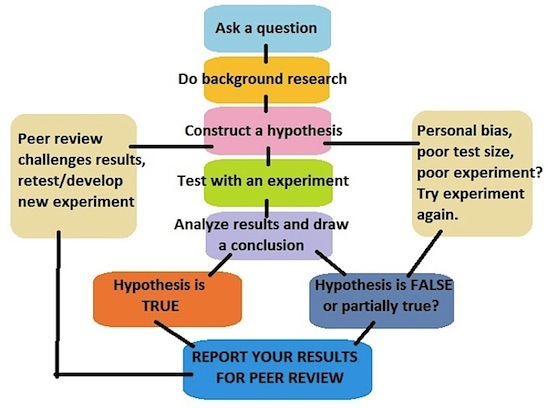 For a hypothesis or several hypotheses to become a Theory or remain a Theory it must be tested repeatedly and be backed up by observable evidence and found to be true. For a theory to become a law, it must have consistent and constantly observable, testable, and repeatable evidence to support its consistency. Examples of scientific laws are Newton's Laws of Motion, the Laws of Thermodynamics, and the best known Law of Gravitational Constants. So where does the Theory of Evolution stack up against these requirements? Scientists say evolution is based on facts and is a fact of science. First off, it takes millions and billions of years to observe, which makes it unobservable by any scientist. A good question is, if evolution occurred millions and billions of year ago before any form of humans showed up, who was sentient enough to tell these scientist that evolution actually occurred? Second, it is supposedly based off of accidents occurring during these millions and billions of years. Accidents by nature, are one time occurrences, making them untestable and unrepeatable. We also have countless thousands of years where we see animals remaining the same and not be coming new kinds and humans not evolving extra organs that prove by observation that evolution is not taking place. Lions are staying lions, birds are staying birds, and humans are staying humans. According to science, if any theory that has no evidence to support it, or has evidence that disagrees with it, or is untestable and unrepeatable, the theory is returned to the state of being a Hypothesis. In most cases that theory would also be considered unscientific and be thrown out. 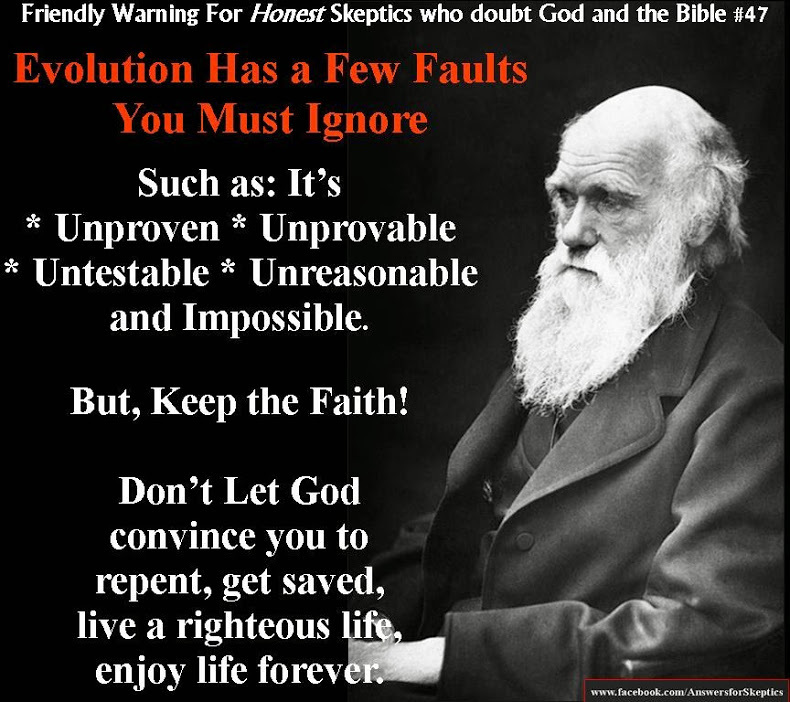 The question is why hasn't the Theory of Evolution been thrown out as being unscientific, since it has no proof to support it, has evidence disputing it, and is untestable and unrepeatable? 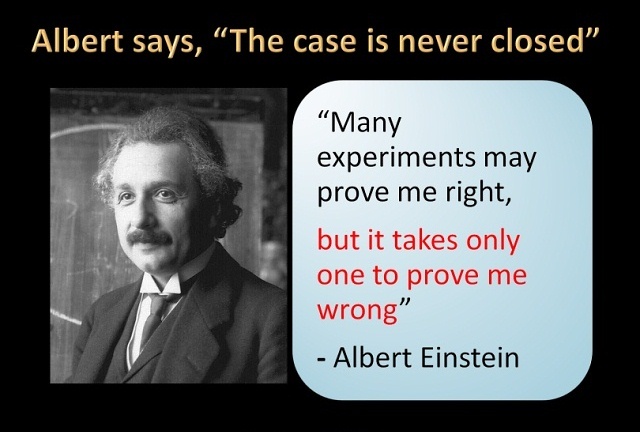 Reference: Not breaking news: many scientific studies are ultimately proved wrong!, What is Scientific Hypothesis?, What is Scientific Theory?, What is Scientific Law? Does evolution abide by the laws of science? In order for any scientific hypothesis, theory, or law to be valid within the realms of science it can not be in conflict or break any of the other various laws of physics and science already in place. A quick example of this is the fact that Law of Aerodynamics does not conflict with the Law of Gravity. It is still governed by the Law of Gravity except it introduces other forces such as lift that is dependent upon wingspan and forward momentum that overcomes the pull of gravity which is still present. When Einstein came up with his famous equation E=mc2 that lead to the creation of the atomic bomb, everyone marveled at his genius. Little did everyone know that Einstein was using the Law of Conservation of Mass and Energy. By his simple equation he showed that mass was converted to energy when brought to the speed of light. This law basically said you can not get either mass nor energy from nowhere. It was either in the form of mass or in the form of energy and the total amount of both remained constant. Does evolution abide by this law? Hardly. Why? Because in order for evolution to happen it must be continuously getting information and material spontaneously. Take for instance their evolution of the universe from a big bang. Their cosmic egg came from nothing out of nowhere and exploded to give us all the material we have in our universe. How about life from the primordial soup trillions of year ago, according to them? Again amino acids come out of nowhere from nothing. Where is their matter or energy coming from? They can't tell you. How about the three Laws of Thermodynamics? The 2nd of these laws says that everything goes from order to disorder (entropy). Yet evolution demands just the opposite of this. It requires everything to go from simple to complex and disorder to order. Lastly there is the Law of Biogenesis that simply states life can only come from life. Evolution assumes life came to inanimate tissue and material. No one has yet been able to break this law. So there you have it. 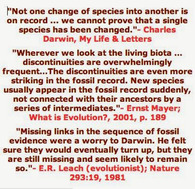 Evolution is a science that breaks 3 of the most well established, fundamental, and proven laws of science. In order for evolution to be true, everything we know about science would have to be completely wrong. In 1950 American biologist James Watson and English physicist Francis Crick discovered DNA(deoxyribonucleic acid) within the nucleus of a cells. With it our understanding of just how cells store and pass on information changed. We found ourselves suddenly faced with a complex information storage and duplication mechanism inside the what seemed, to crude microscopes, a very simple and unassuming cell. As our microscopes became more refined we found even more. We now know that when cells split, they first duplicate all their mechanics within themselves. Mitochondria,Lysosomes, Golgi apparatus, Ribosomes, and Nucleus are all duplicated. Then the DNA that make up the 46 chromosomes are unzipped and pulled open and the RNA (ribonucleic acid) match up and assemble the opposing amino acids until all 92 chromosomes are complete. After that the cell splits each taking 64 of the completed chromosomes and one of the set of the duplicated cell mechanisms. DNA is best thought of as the library of the organism. Within its amino acid structure is recorded all information of the individual organism. Everything from eye color to higth are all recorded there. A single strand of DNA can store about 750 megabytes of information, which comes out about 36 Libraries of Congress. In order for evolution's mutations to happen, natural damage has to occur to this impressive information storage system. And the only way for damage to occur to DNA is during its replication process, as we bar catastrophic, unnatural occurrences (such as radiation) that does not happen everyday. These are referred to as mutations in cell replication. Cells replicate as listed above with nearly flawless perfection. However once in ever 100,000,000 amino acid pairings by the RNA can result in a mistake. 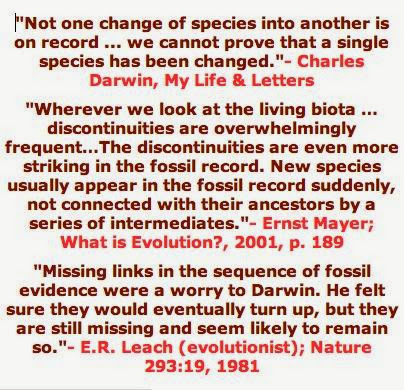 Many evolutionist point to these remote mistakes as a possibility for evolution to occur in organism. 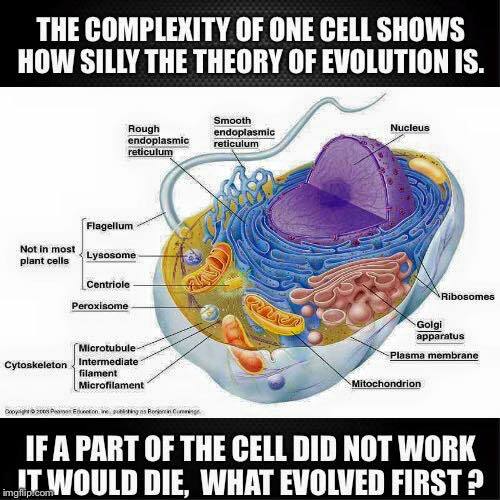 Again they fail to understand the complexity within the cells nucleus. For within the nucleus the cell has several checking methods, one of which alone corrects 99% of these errors. So if one does the math, it comes out to about 1 chance in 10 billion (10,000,000,000) just using this one method of correcting in the absence of any other correcting method within the cell. With this known, scientist have conclusively proven evolution by mutation in DNA is impossible, no matter how many billions of years are alotted for it. Quote: "If we examine the accomplishments of man in his most advanced endeavors, in theory and in practice, we find that the cell has done all this long before him, with greater resourcefulness and much greater efficiency." 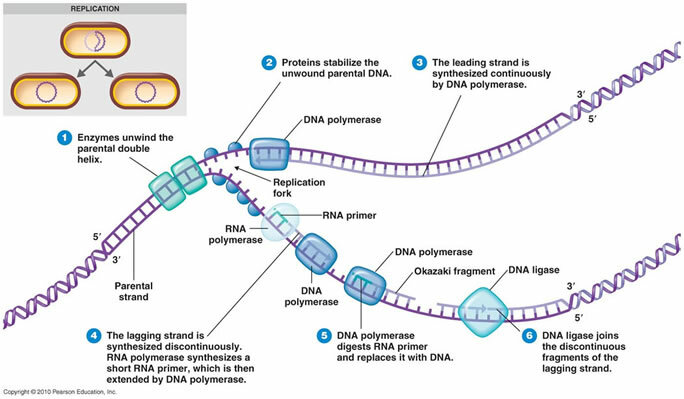 — Albert Claude,Nobel Lecture, The Coming Age of the Cell, 12 Dec 1974 "the fidelity of copying DNA during replication is such that only about 1 mistake is made for every 10^9 nucleotides copied." -Molecular Biology of the Cell. 4th edition. 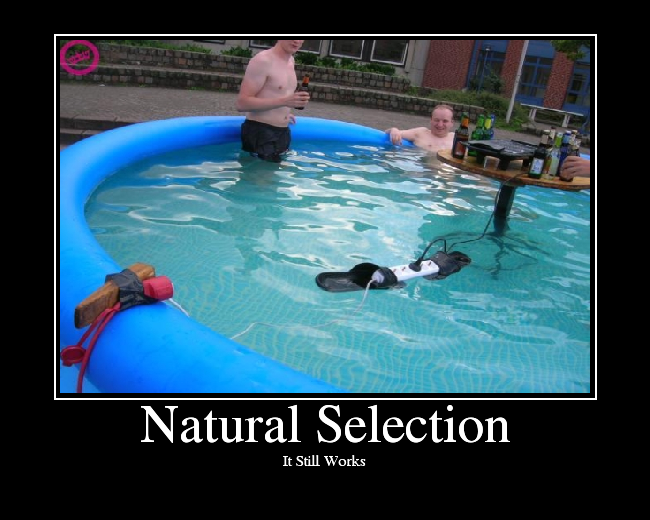 Survival of the Fittest and Natural Selection in nature sounds fancy, but it basically means the strong survive and the weak are weeded out. Most of us would think of the lion chasing down the an antelope in one of the Nature shows on TV. What few think of is the fact that all predators go after the weakest and most diseased animal, who is least able to run. Hence the idea of survival of the fittest. So most would think the mutant animal would be stronger or have some advantages to survive over the rest of the herd. In reality it is just the opposite. As covered above, genetic mutations that manifest physically results in a deformity that is non-beneficial. Best example of this is an extra leg that inhibits the running coordination of the normal number of limbs. This makes the mutant slower at running, if able to run at all. Or the fruit fly with an extra pair of wings, due to lab tampering by humans, who can't fly at all. This would make the mutant easy pickings for the weakest, starved and maimed predators in nature. Under that circumstances 'Survival of the Fittest' would literally fall prey to 'Natural Selection' and be eliminated before having a chance to be passed on through the gene pool. Survival of the Fittest, unlike a method to preserve evolution, is actually nature's method of keeping uniformity by keeping the most healthy of the herd by weeding out all the mutations and weaknesses. Here evolutionist are not just unassisted by their own methods but actually betrayed by it. Evolution as a Theory can't stand based off its best arguments. It has no observable scientific proof and requires the breaking of not 1, not 2, but 3 well established and well proven scientific Laws. And worse yet our deepening knowledge of the cell and the DNA within them do not support ability of organisms to natural mutate. The only reason why evolutionist arguments can sound so persuasive is because they often combine assertive dogma with intimidating, dismissive ridicule towards anyone who dares to disagree with them. Evolutionists wrongly believe that their views are validated by persuasive presentations invoking scientific terminology and allusions to a presumed monopoly of scientific knowledge and understanding on their part. So the question you must ask yourselves is just how much do these humans know? Were they there when this all happened millions or billions of years ago? Why are they so adamant that we evolved. Just what value do we have if we are nothing more than animals? And most importantly what if they are wrong and there is a God who created all of us, not as animals and but as complex humans? This is the God of the Bible who said He was there when he created the universe, the earth, everything in the earth, and you. This is the God who is so powerful, He didn't create over millions of years but over 6 days, 24 hours long each. And this is the God who wants you to know Him and accept His free gift of salvation through his son Jesus that makes your right with Him so you could spend all eternity with Him in Heaven. Few Reasons an Evolutionary Origin of Life Is Impossible by Duane Gish, Ph.D.